Skin protectant that helps treat and prevent rash associated with diaper use or continued exposure to feces, urine or both. Protects skin from minor irritation associated with diaper dermatitis and exposure to feces and urine and helps seal out wetness. For external use only. Avoid contact with eyes. Not to be applied over deep or puncture wounds, infections or lacerations. If condition worsens or does not improve within 7 days, consult a doctor. Keep out of the reach of children. If swallowed, get medical help or contact a Poison Control Center immediately. This is esy to apply and very soothing to irrated skin. 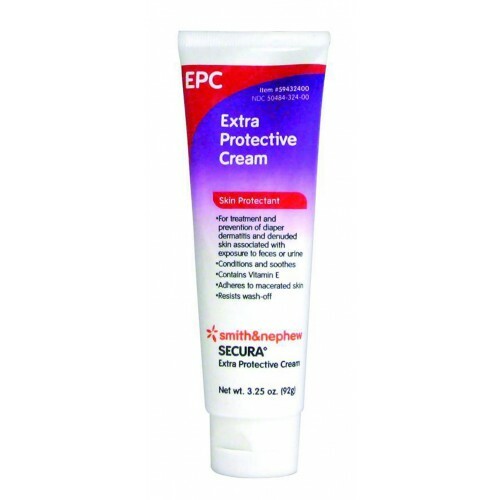 This is one of the best skin protective creams I have used!